Your choice of New Yachts & Brokerage Yachts with a full-service mindset people that knows what you need and the quality you deserve. At our Ofice facility's Floridian Yacht Sales can arrange all routine maintenace or a major refits. Stop by our office, we have a Yacht for you !!! 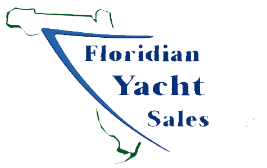 Floridian Yacht Sales is a lot more than just a brokerage!! !